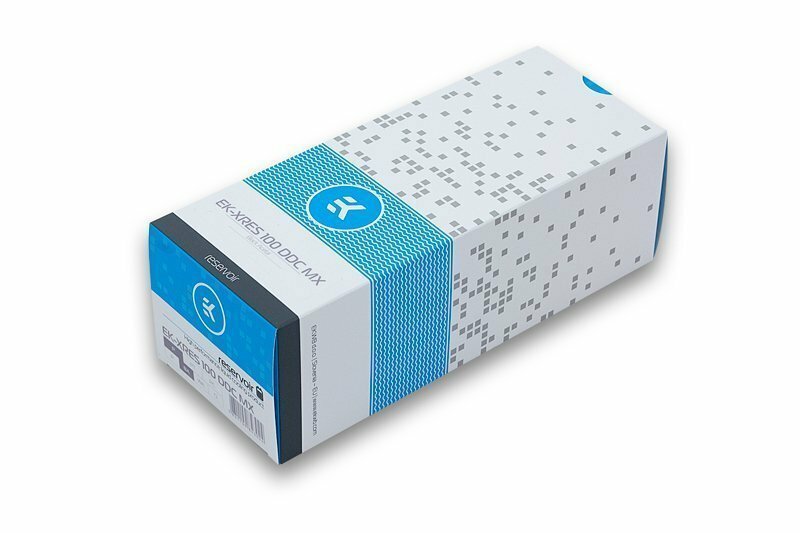 EK-XRES 100 DDC MX is a reduced cost variant of EK-XRES 100 DDC reservoir. It has been designed to lower the production costs yet still offer premium hydraulic performance at the best price. This unit is a high-performance aftermarket pump top (volute) with integrated reservoir for Laing DDC series water pumps. This top offer increased hydraulic performance (up to 15%) compared to factory top. 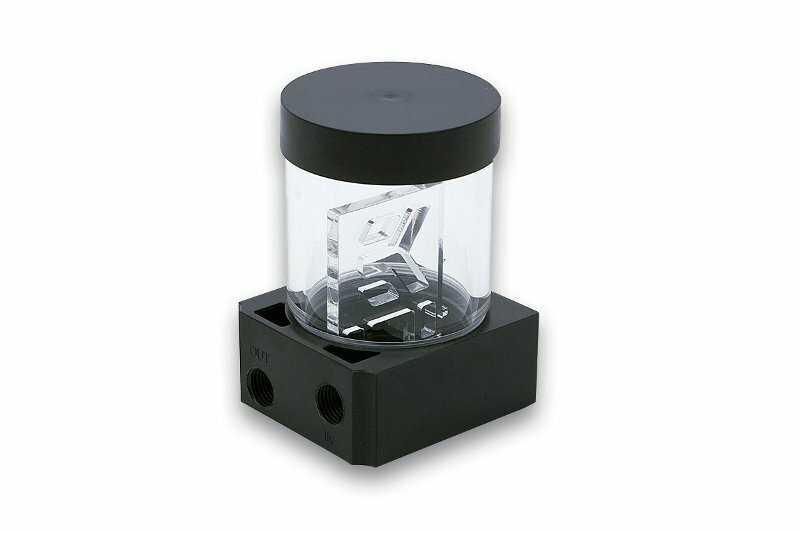 EK-XRES DDC MX series reservoirs comes preinstalled with anti-cyclone insert. Additionaly a PU anti-vortex foam is enclosed. The main body features two G1/4 threaded ports of which one is an inlet (in the reservoir) and one is an outlet (from the pump). EK recommends the use of EK-ACF series compression fittings. Tube is made of quality acrylic material, while the rest of the pump/reservoir body is made from injection moulded quality ABS material. 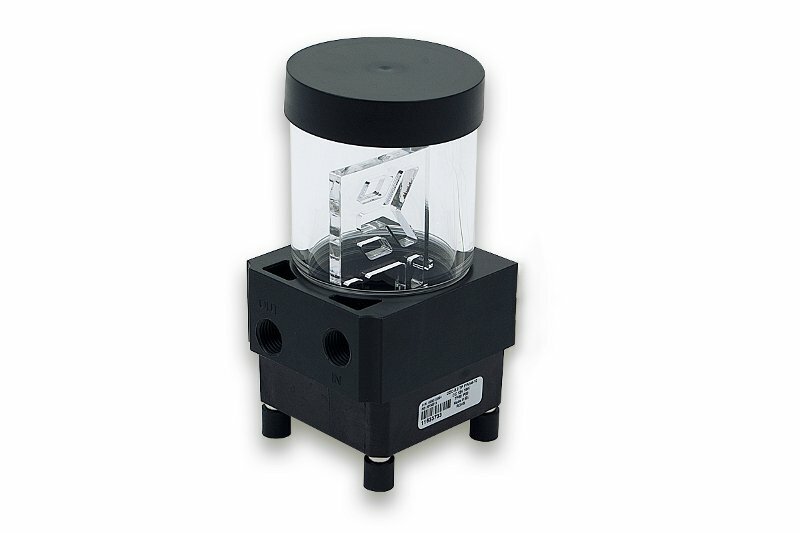 This reservoir can be easily upgraded with longer tubes used by EK-RES X3 series reservoirs. 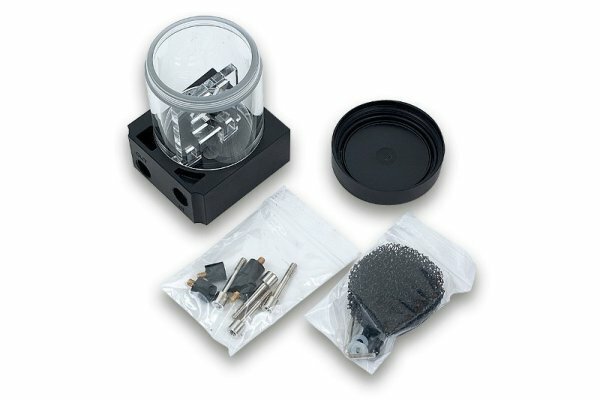 Replacement tubes can be purchased separately via EK Webshop. 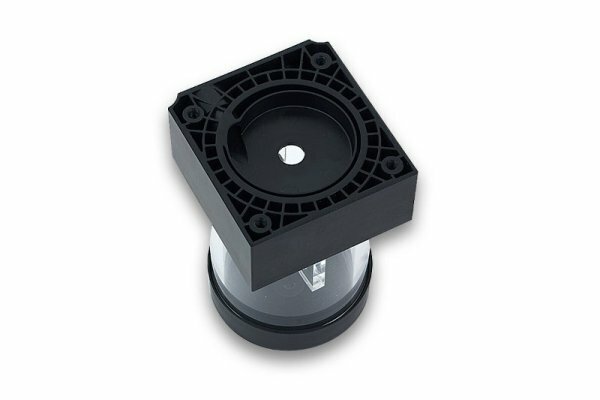 Technical data: – Reservoir Diameter: 60mm – Overal Height: 100mm (121mm incl. 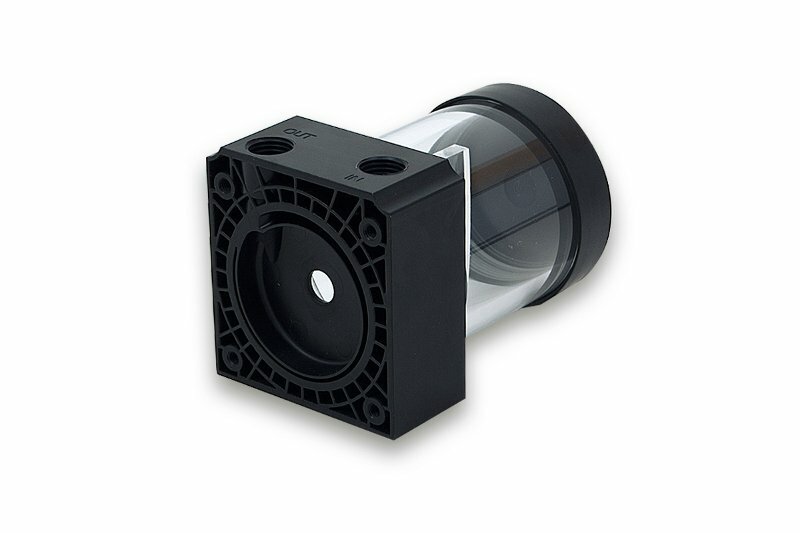 pump) – Mounting hole pattern: 50x50mm Enclosed: – pump/reservoir combo unit – screws – allen key – anti-vortex polyether black foam Made in Slovenia – EU!